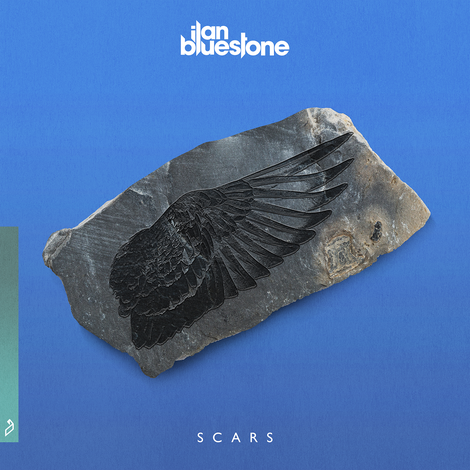 British DJ/producer ilan Bluestone’s debut artist album ‘Scars’ is out now on Anjunabeats. Over the past few months he has been teasing you with three singles off the LP - ‘Let Me Know’, and ‘I Believe’ alongside Giuseppe De Luca, plus ‘Another Lover’ with Koven, - and has now revealed the full body of work in its entirety. Reflecting his personality, ilan’s album has been honed on the road and in the studio over the last 12 months. Marrying sensitive songwriting with his vintage melodies, these 15 tracks journey through the styles and sounds of music that have influenced his life creatively. From melodic works like ‘Guru’, to the psytrance sounds in ‘Noa’, to uplifting vocal pieces including ‘Cosmic Feeling’ which features vocals from Giuseppe De Luca and hints of jazz. Other highlight tracks include his collaboration with Maor Levi titled ‘Everybody’ and the closing track ‘Eclipse’. The album aims to showcase ilan’s production skills in the trance and house music spaces. Prominent in the trance and electronic music scene for the last five years, the British producer has performed at the likes of Madison Square Gardens, Red Rocks and Wembley Arena, is a regular in the sets of Above & Beyond, Armin van Buuren and Cosmic Gate, and has notched up 10 #1 singles in the Beatport Trance charts along the way. This spring and summer he will be supporting ‘Scars’ with performances at some of the biggest festivals around in some of the world’s major cities including EDC Las Vegas, Ultra Europe, Tomorrowland, Dreamstate San Francisco, Hï Ibiza, Creamfields UK, and much more.